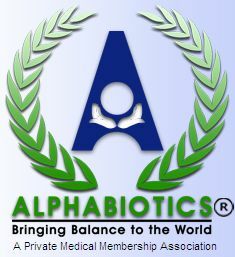 The Alphabiotic alignment/unification process is very different from anything else you are likely to have experienced. It is a very precise movement that takes less than a minute to do. It is a gentle and safe hands-on technique where participants lie down on their backs on a specifically designed table. The head is then cradled comfortably in a neutral position and the process is delivered through a quick movement specifically designed to send a signal that the brain can understand. Similar to rebooting a computer, or pressing the 'reset' button, when the brain releases its inappropriate stress state, a number of things happen instantaneously. People often report immediate relief from pain and anxiety, with an increased sense of peace, focus, and strength. The situation continues to improve with subsequent integrations as the body can begin to retrain itself to a more positive, healthful way of being. Please be aware, this is NOT Chiropractic, and no bones are manipulated in the process. In fact, even people who are uncomfortable with chiropractic adjustments find this technique to be pleasantly different. It is also important to keep in mind that Alphabiotics is NOT a “magic pill”. Our systems have been conditioned through years of chronic, pervasive stress. It can take time to readjust to a better, more balanced way of being. While most people experience benefits quite quickly, it is helpful to remember to have patience while we heal. Fortunately, Alphabiotics can help with that too.